Armor for short skinny dudes? So, i am short and (for the moment) skinny. Everytime I look at armor, especially chest armor, that is on the market, it is always way to big, even the "medium" seems to be. My waist and chest are thin, and my torso is short. So I am wondering if there is a maker that makes smaller breastplates. Something similar to this I suppose: i.pinimg.com/originals/29/4b/3c/294b3c680e2f2e4a1833503fedf25bd5.jpg I do not need anything super accurate though. Helmets are fairly easy, even with my pinhead. I picked this up from Medieval Collectibles, made by Mytholon. I'm only 5'-7" and about 160 lb. and it fits me like a glove. All of the Mytholon armor is great...and relatively cheap. Check it out! I believe it's called the 'Elias' short cuirass. Ideal for shorter people, as it only comes down to the bottom of the ribcage. It's a full cuirass, with a back plate and leather-hinged at the shoulders. Easy on/off, and only one buckle on each side. The one I'm wearing in my avatar photo (<---) is an Epic Armoury RFB breast plate, size M, I think. Also a perfect fit, and also bought from Medieval Collectibles and also available now at Kult of Athena. Don’t forget to count for your under armour clothing, this is of course if you are talking about plate. 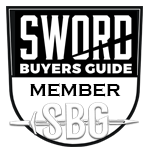 Even a light weight gambeson or arming jacket will account for at least one size greater. I recommend something underneath the plate and if you don’t have adequate padding now, buy it first and then consider the correct size armour to buy. I think that you will find several options of plate out there that will fit if you do so. I don't wear a gambeson, too hot for Texas. I just use a padded collar for my neck and shoulders. Works great. I suppose I could have put my height and weight too. I am 5'4" 5'5" in heels. and last time I weighed I was at 145 Working on losing this "You no longer have that metabolism" gut. Perhaps there is armor meant more the the ladies that would fit me? The size you posted seems to be the smallest the off the shelf stuff comes. The size medium Epic Armoury RFB breast plate was actually a bit small when I got it. I just bent out the sides a bit, and the fit was perfect. They make these in child-size, so you should be able to find one small enough. Try this: www.epicarmouryunlimited.com They are out of Canada, but you can see a lot of size info. Okay...just checked, and the don't offer the kid-sized RFB's anymore. Sorry. Im in Florida, I hear ya on the no gambison. Far too hot in the Ren Faire sun. 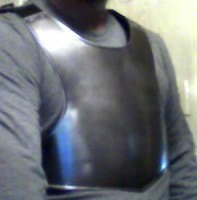 I have the full suit of 'Dark Warrior' armor from Epic in size large, but I have a 44" chest. It's big on me, but the medium I originally ordered was too small. Medieval Collectibles has 'Warrior' breastplates(polished) in small size 'in-stock' ---also have the RFB breastplate in small, but only 2 available. The RFB size small fits a 35" chest and a 27-1/2'' waist. Oh wow. Thanks for doing that bit of leg work. I am at the weird size where I am too big for small sizes, and too small for medium sizes. Though that Warrior in small might fit me well. I feel like the length is a huge issue too, as I am also SHORT. 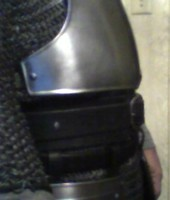 I was also looking at this one: www.darkknightarmoury.com/p-37686-steel-elias-short-breastplate.aspx It has a frotn and back plate, though it might still be a little short. But a little short is better than it being too long, so i can still bend over. 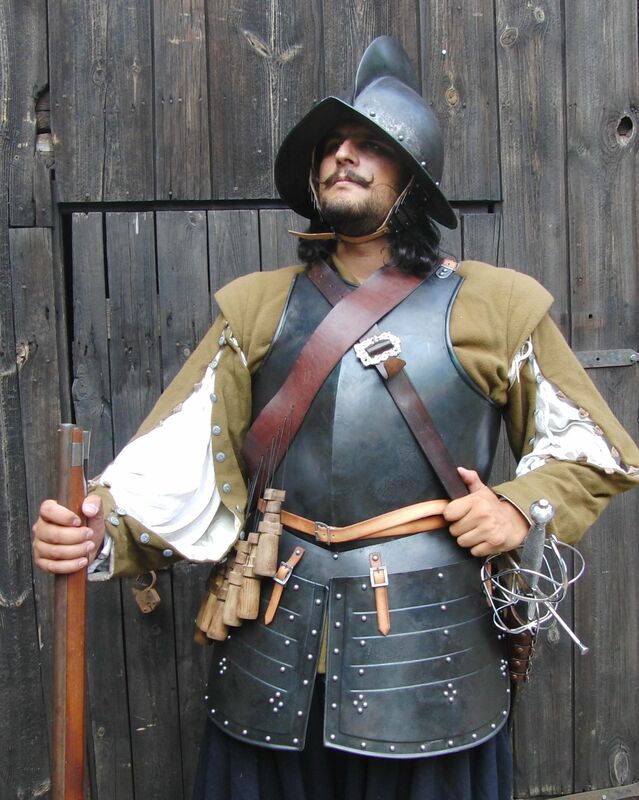 Since I am going more for a spiek and shot, english civil war style, id probably wear a cavalier shirt, or buffcoat under it. Might not be TOO inaccurate. A sword belt and shot equipment might help hide inaccuracies too. Yes, I wear a wide belt with mine to cover up some of the gap between the breastplate and the tassets, but then, I wear mail underneath it all. Movement is super easy, as is bending over. Give the 'Elias" cuirass a shot. You can always return it if the fit is not to your liking. The neck opening is pretty large, so you may look into a gorget also. On the Epic Armoury Warrior b-p, if you are any good at metal work, you could possibly remove the bottom flange, cut off a couple inches of the b-p, then re-rivet the flange back on. It wouldn't look right without it. Same with the backplate (which I recommend), IF you can find one. It MIGHT be possible to cut down a size M backplate. Once again, you'll just have to have it in-hand to know.